Sometimes it's easy to get fed up with all the injustice in the world, but sometimes people get it right. In this edition of the Sweet Smell of Justice Served (it's just a little series I'm starting, get ready) (you'll never hear about this again), we head to Pennsylvania, where Axe Body Spray just got the axe (sorry) (NOT) from Freedom High School because it nearly caused an axe murder when it sent a kid to the hospital. Yes, Axe Body Spray sent a child to the E.R. 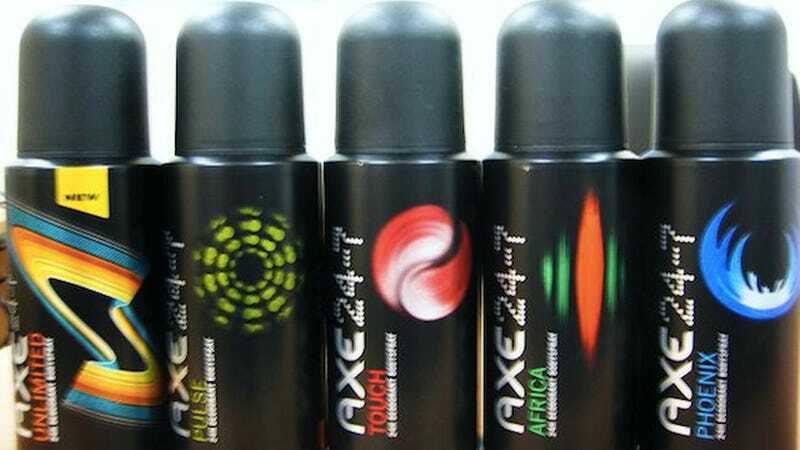 I bet nobody's surprised to hear that Kim Jong-il holds the patent for Axe Body Spray, and it's actually designed as a weapons-grade irritant that the North Korean army will unleash upon Los Angeles sometime soon. Oh wait, that's already happened. Now, he's set his beyond-the-grave sights on bigger targets: rural (?) Pennsylvania. On behalf of this student's family and myself, thank you for your consideration. Freedom High is serious — they'd rather smell the pungent natural funk of hormonal teens, than deal with the chemical death funk of Axe Body Spray. That's saying something. It should also be noted that this school is putting on a production of Les Miserables this spring. Can you hear the people sing?